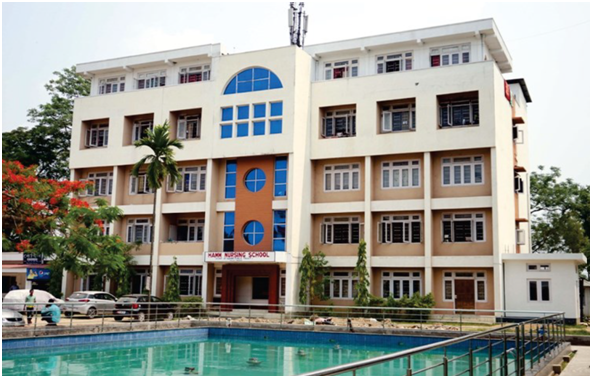 Haji Abdul Majid Memorial Hospital & Research Centre at Hojai, (http://hammhrc.org/) in the north-eastern Indian state of Assam is one of the largest rural Multi-Specialty charitable hospitals in Northeast India. Ever since Late Nobel Laureate Rev. Mother Teresa inaugurated the hospital on 16th September 1995, hundreds of thousands of patients, mostly poor, have been the beneficiaries of the hospital’s health care facilities. Patients from remote and far-flung areas of Hojai and adjoining Karbi Anglong, Dima Hasao and Nagaon make a beeline every day at the charitable OPD as well as at the Indoor and Outdoor Patient Department. Even as the hospital has grown in size and infrastructure and new facilities and equipments have been added over the years, the steady increase in the number of patient day by day is making it imperative to add more facilities. It is indeed a tribute to the goodwill and benevolent zeal of the trustees that the HAMM hospital has become the first choice and the preferred hospital for the poor and the needy, not to speak of the patients who are well off and who have the capacity to pay for their treatment. The hospital provides totally free treatment under charity to those who are economically underprivileged irrespective of caste, creed and religion and simultaneously giving service to the Paying patients who can afford the cost of the superior treatment here. In the year 2015 alone 33707 numbers of patients were treated gratis and the total money spent on charity amounted to Rs.3,25,000,00.00/-(Rupees Three Crore and Twenty Five Lakh). Patients are registered at the reception and are seen on first come first serve basis. However, out of turn consultancy may be provided in case of emergency and senior citizens. There are 100 beds, ICU, NICU, HDU, 6 numbers of Operation theatres and labor room available. They offer comprehensive laboratory ser-vices for detecting and monitoring diseases. 24 hours ECG Services including machine report, ECHO, TMT, HOLTER, Spirometry and temporary pacing are also available. Range of physiotherapy services to assist the patients recovers from ailments like musculoskeletal disorders and so on. We offer unbiased information to the public and health professionals on all aspects of childhood immunization against infectious diseases. Free reliable quality medicines are available to beneficiaries on doctor prescription during OPD hours. Medicines not available are provided by S.O. signed by pre-scribing Doctor and Head and collected from on campus chemist shop. 24 hours patient transport vehicle available. Patients are transported from home (on campus) to HAMM hospital and patients referred by emergency duty doctor to empanelled hospital for specialized case. The hospital have other facilities like Morgue, Closed Circuit Camera, Round the Clock Security Service, Round the Clock Generator Backup, Lift Facility, Ramp, Water Treatment Plant, Cold Drinking Water, Canteen Facility, ATM Service. A sum of 13 Crore of rupees was spent on improving infrastructure and facilities last year. But to keep up with the need of the times and to provide better treatment much more is needed to acquire certain essential modern equipments. The hospital, being a charitable one, welcomes donations from benevolent and generous persons and organizations to carry on its noble and charitable healthcare activities. The hospital is poised for upgrading its bed count from its present capacity of 125 beds. Efforts are on to start a private medical college in this hospital very soon and the Honourable trustees are leaving no stone unturned to see their dream project take shape as a fully fledged medical college and hospital. On 16th September 2017, HAMM Hospital & RC had celebrated its 22nd Anniversary with a two day long program. History begins from a Charitable Dispensary in 1986 by Haji Ajmal Ali, the founder Chairman. Later, it upgraded to a full-fledged hospital (100 beds) in 1995, which was inaugurated by Saint Mother Teresa. Shouldering the responsibilities his illustrious sons continued the legacy to make dream come true of their beloved father. It is the largest rural hospital across the South Asia. The present hospital from where we are functioning at present, the charitable dispensary also started functioning along with it. Till date, charitable OPD and dispensary with specialist care, investigations and hospitalization remain a very vital and important key area of the functioning of the hospital. Since inception hospital is providing free treatment to over 16,69,198 poor patients including free medicines and investigations through our Charitable Wing irrespective of Caste, Creed and Religion. Looking at the over whelming response and acceptability, Management of HAMMH has extended its bed strength to 181. Latest statistics shows since September 1995 we have entertained 1,03,2837 patients in paying OPD and 1, 98,958 patients in IPD. 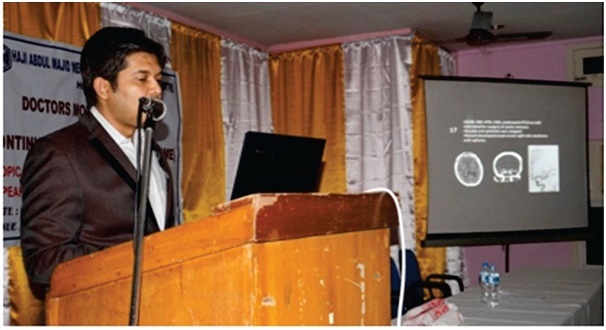 It was established on 8th November, 2010 at Dihing, Nagaon. It has a capacity of 30 beds. It was established on 14th October, 2011 at Badarpur. It has a capacity of 50 beds. It was established on 26th July, 2002 at Goalpara. It has a capacity of 30 beds. The Hamm Nursing School specializes in the GNM Course (General Nursing and Midwifery). It deals with the education of nurses in general health care, nursing, and midwifery.Since its inception in 2010, five batches have come outsuccessfully with flying colors and absorbed indifferent Government and Private Establishments. Inspite of their busy schedule, the doctors participate in State & National Level activities. The managing trustees of HAMMH RC have planned to open a B.Sc. Nursing College specially aimedat the poor and destitute students. There are many meritorious students in rural Assam but due to poverty,they are not able to pursue higher studies. The HAMM B.Sc Nursing College would enable these poor students to avail the course at an affordable cost.